SoHo Kelowna is a new condo development in Kelowna’s Rutland neighbourhood. The name SoHo is directly related to the address at the intersection of Hollywod Road South and Highway 33. With this crossroads such an integral part of the brand, we set to work to develop branding with an urban feel that would resonate with buyers. With such an evocative name that related to an up and coming neighbourhood, we immersed ourselves in the many styles of New York City street signs. The logotype was developed to be representative of these street signs, while a contemporary copper and gold colour palette was introduced to give the brand a contemporary look and feel. 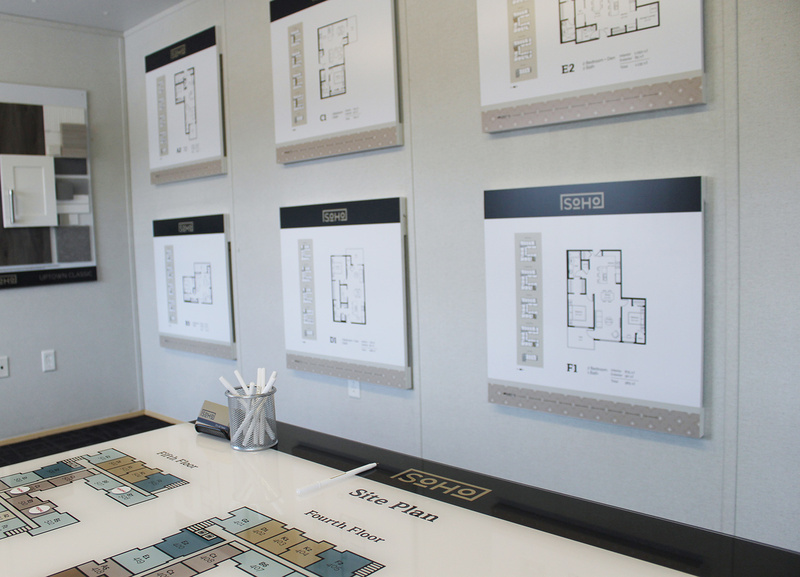 Brandnetic was responsible for designing everything from print materials such as floorplans and neighbourhood maps to site signage along with a fully responsive website including a customized floorplan selector.